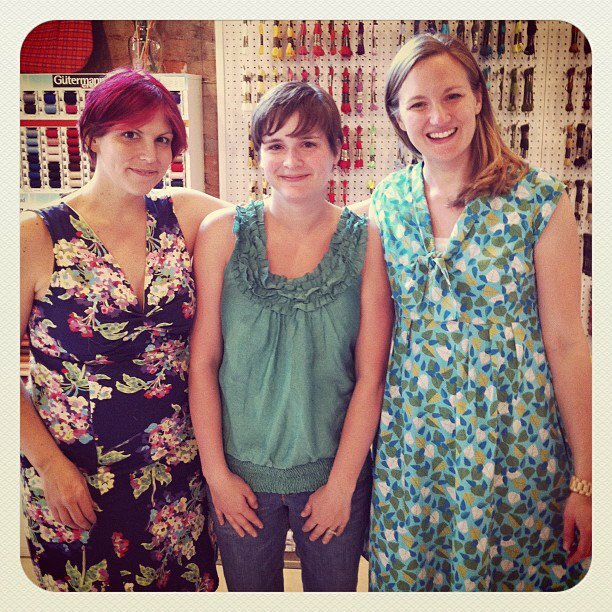 I realized that I never blogged in detail about my sewing class that I took at Whipstitch back in March. Because I learned so much at that class, I wanted to discuss it a bit and show off a few pics. 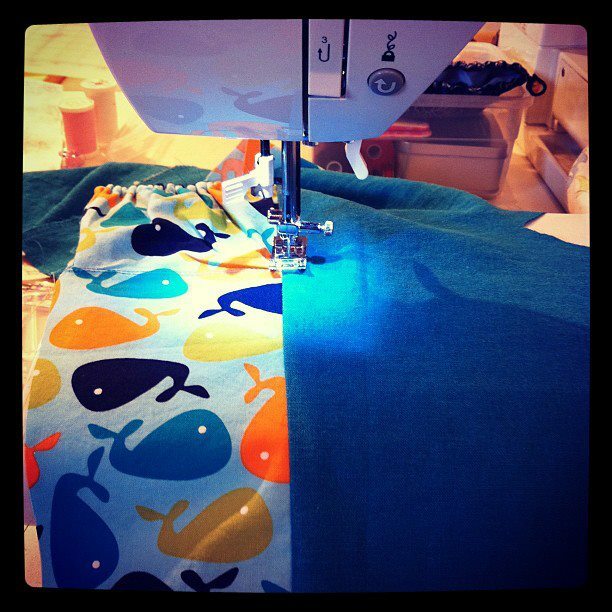 To begin with, I have talked several times about how much I LOVE Whipstitch. Seriously, if you get a chance to go to Atlanta, you MUST go to her store. It is the perfect shop for the modern quilter/sewer. But even if you can’t get to Atlanta, she has an etsy shop where you can buy her fabric online. I had been to Whipstitch last year when the hubs and I went to Atlanta for our anniversary. It is so modern even the hubs said he doesn’t mind going into it- Score! When I saw Rae blog about the class she and Karen would be teaching there in March, I jumped at the chance to go- meet one of my bloggy heroes and learn more sewing tips…perfect weekend. It just so happens that I have a birthday in March so the timing worked out well for me. No need for the hubs to buy me any other presents! And it pretty much was the perfect weekend. 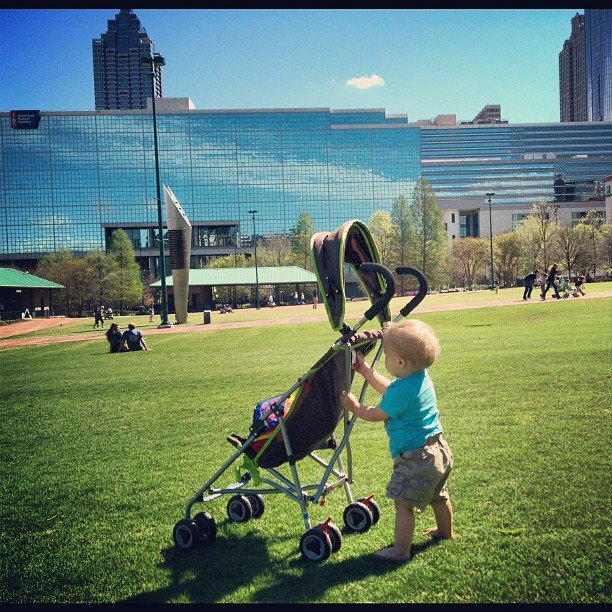 We headed down to Atlanta after the hubs got off work Friday night (about a 2.5 hour trip). We have a very generous friend who lives there and offered for us to stay with him all weekend- thanks, Andrew ,for making our trip possible! (I’m sure he doesn’t read my blog but I’ll give him a shout out anyway. 🙂 ) There was a crafty meet-up on Friday night that I really wanted to go to but we got in too late for that…bummer. 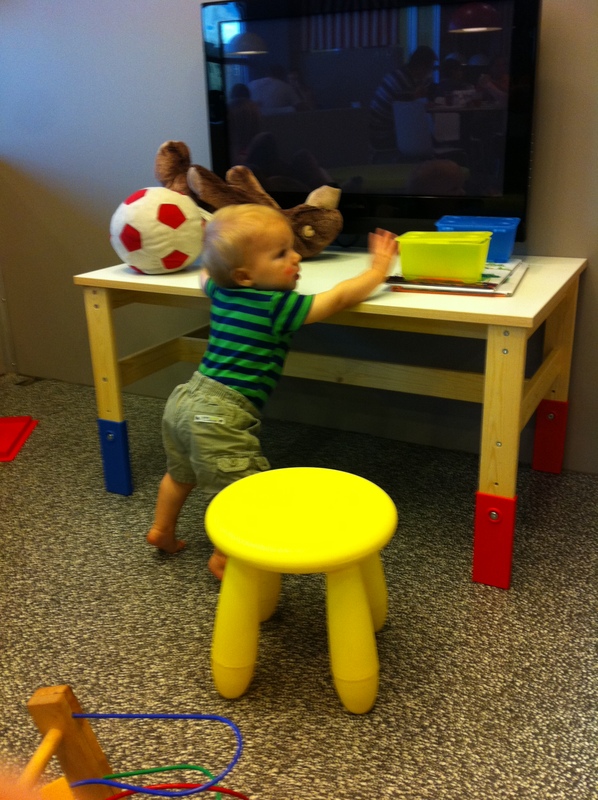 I stayed at Whipstitch all day Saturday and the hubs very generously watched the Little Man for me. He dropped me off early in the morning for a free clothing workshop- given by Karen and Rae, came back for lunch with me and then took Little Man back to the house for an afternoon nap while I went to the Sewing for Kids Workshop. All day I was pretty much like a kid in a candy store.I know I am being a bit melodramatic here, but it was a dream come true for me. Being a mostly self-taught sewer, it is so helpful for me to get instruction from others. The Saturday morning tutorial was all about constructing handmade garments that look professional. A lot of discussion was given to seams and finishing touches. I really took away tons of helpful advice for clothing construction. Then in the afternoon class we made the treasure pocket pants that I have been addicted to since…from the book Sewing for Boys. 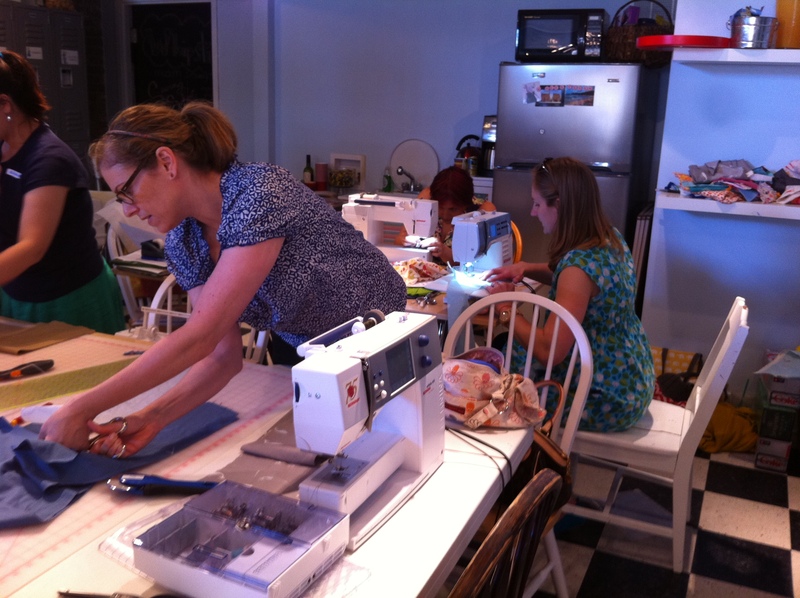 It was a crazy whirlwind class because we were trying to finish the pants in 3 hours but it was loads of fun! Rae and Karen are great teachers! I am just sad I don’t live closer to Whipstitch or Michigan to make attending more classes at either a regular occurrence 😦 . Whipstitch just happens to be about 5 minutes away from Ikea so after my class was over, we headed over there with our friend Andrew to have some fun. Here are some pics of the weekend…They are mostly instagram shots because we didn’t bring the regular camera. This entry was posted in Kid sewing, Sewing Classes and tagged atlanta, karen lepage, kids sewing class, madebyrae, sewing for boys, treasure pocket pants, whipstitch by oliver's fancy. Bookmark the permalink.